Like every other game, sticking to the basics is essential in rummy. 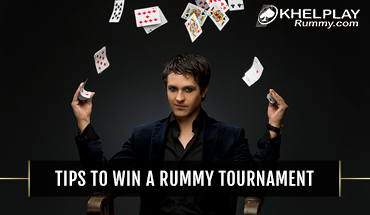 Memorizing the official rummy rules and basics by heart can help you avoid many common mistakes. One of these mistakes is forgetting to make a pure hand at the earliest. We all know the consequence to this if your opponent declares. Look out for the cards your opponents are taking out from the pile. You cannot be sure what card they took from the deck, but pay attention to what they pick and what they discard from the discarded pile. Not observing your opponents’ moves can be the mistake that can cost you your game. Rummy is an entirely skill-based game. To win this game, one needs to know when to draw and discard the right cards. Meld the 13 cards into the required valid sequences and sets as soon as you can. You can use a joker and cut joker to your advantage to make a non-pure set or sequence. Also, try discarding the high-value cards as quickly as possible. Failing to do so is a poor display of skills. It is good to have enthusiasm for the game you love. But as everything in excess is bad, over-enthusiasm can create problems in this game that demands a lot of patience. So stay calm in order to make melds and keep an eye on what cards are picked by your opponents from the discarded pile. Like enthusiasm, confidence has a part to play in the game of rummy as well. You need to have faith in the cards you are dealt, but overconfidence can make you lose badly and by a huge margin. As soon as you get your cards, decide if they are worth playing with to win the game. If they aren’t, dropping is the best option. 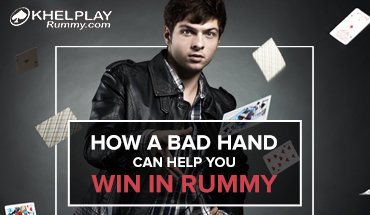 Most great rummy players suggest that a mind full of emotions can often make bad choices. 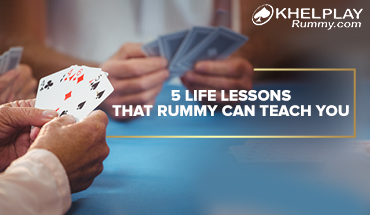 So, don’t let your emotions get the better of you while playing rummy. Games are won and lost quite often. But if you let them affect you, you are sure to make bad calls. Lost a few games lately? Take a break and come back later when your brain has been decluttered. Online rummy websites mostly offer you the option to chat with your opponents. This doesn’t mean you need to talk to them every time you play. Making conversations about your game can give your opponent an understanding of your hand if he an astute player. A skilled player realizes his chances of winning as soon as the cards are dealt. So, calculate your odds when you get the cards, and if you don’t think winning is feasible, choose to drop quickly. Newbies often lose with too many penalty points because they fail to realize that they had lost from the very moment cards were initially dealt to them. How to Overcome a Bad Streak?